Oliver cat's pattern has now been added to the Animal Cosies page. Although I've only put knitting patterns on the blog so far, the Tea Cosy Competition is open for cosies made by any method. Felting, crochet, patchwork, embroidery, gluing....whatever! I'm very keen to see what you all come up with! Entries need to be received by 27th June, so you still have plenty of time to get creative! All the cosies will be displayed and sold at Warratina Lavender Farm, July 5th -13th. Money raised from the sale of the cosies goes to the Cancer Council. Here's Oliver, the cat tea cosy. I'll be posting the pattern under the Animal tea cosy tab shortly. Knit one of my patterns, or any pattern....or sew...or crochet a tea cosy; enter it into the Tea Cosy Competition to help raise money for the Cancer Council. 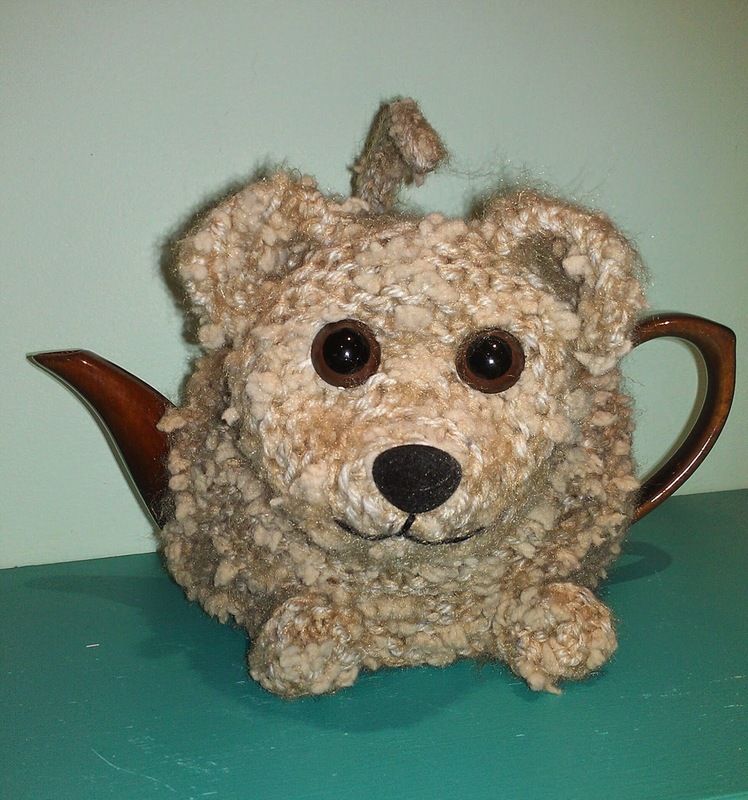 Knit Buster, the puppy tea cosy from the same pattern as for Alfie. 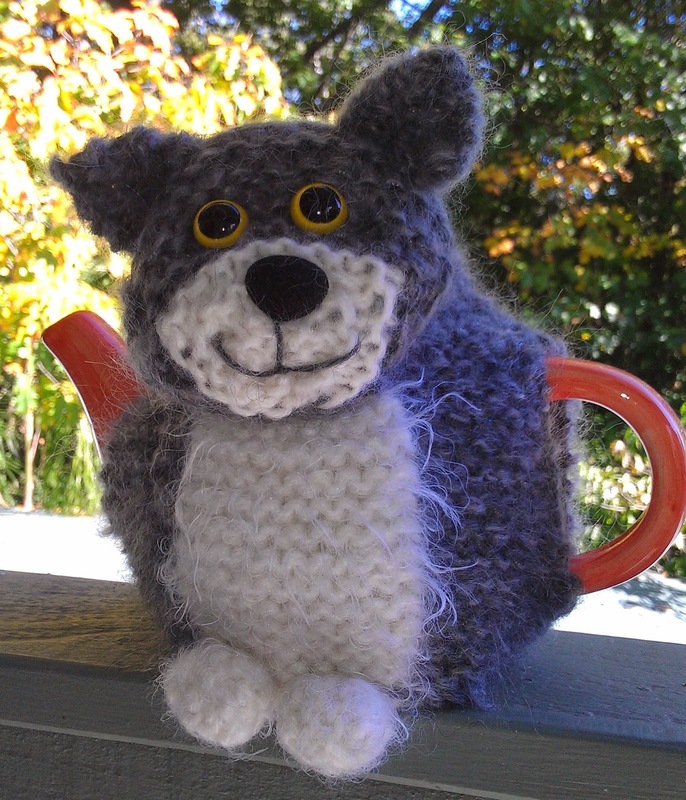 The fluffy puppy is my latest free pattern. 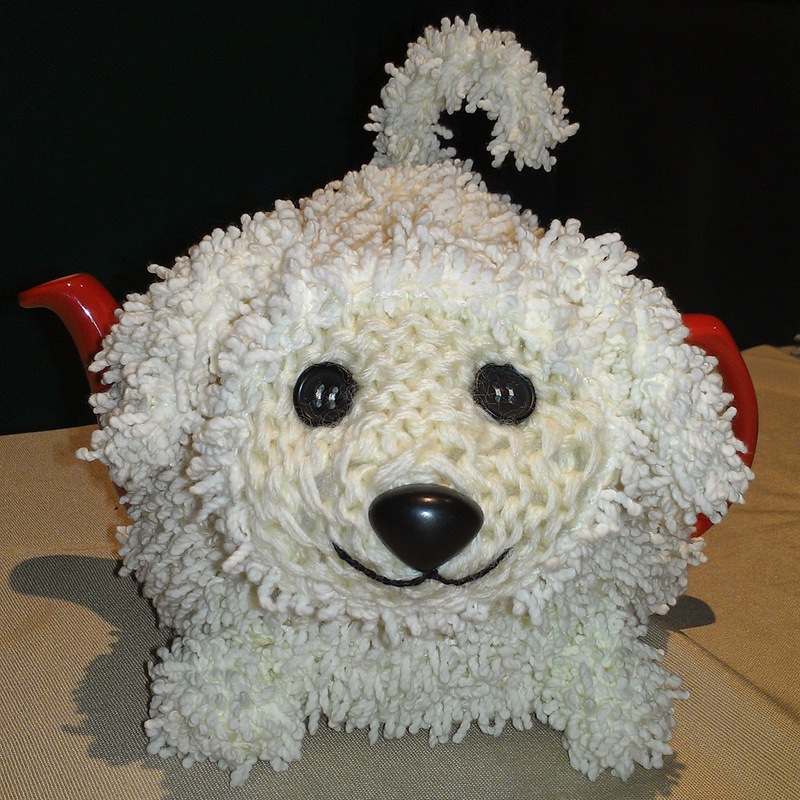 Knit this, or sew, crochet, glue, embroider a cosy and enter it into the Tea Cosy Competition, to help raise money for the Cancer Council. Click on the "Animal Cosies" tab for the pattern. 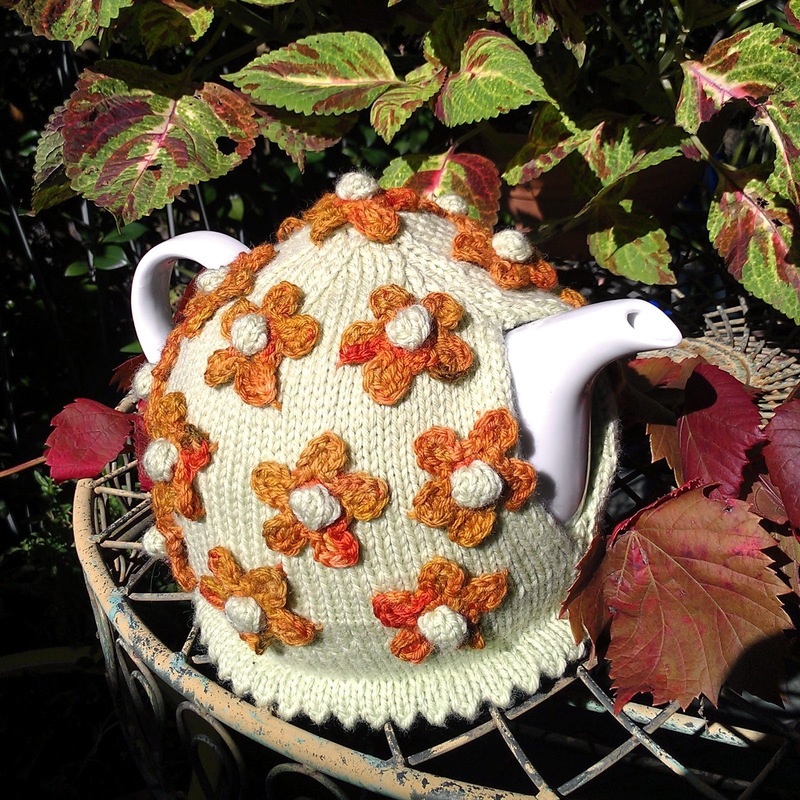 I've just added a new pattern, for my daisy bush tea cosy, you could knit the spring version, with multi-coloured flowers, or the autumn version....click on the Flower tea cosies tab for the pattern. Also, good news from Spotlight stores, they have donated two $50 gift vouchers, which will be used as prizes for the runners up.....remember....$250 cash prize for the winner!!! Enter the competition, and help raise funds for the Cancer Council. $50 Spotlight voucher for 2nd and 3rd placegetters. Use your knitting, sewing, or crocheting skills to Craft a Cure for Cancer. All entries must be received by 27th June 2014. 105 Quayle Road, Wandin Yallock, from 5th to 13th July, 2014. To make a donation to the Tea Cosy Competition fundraising effort for the Cancer Council, go to http://vic.cancercouncilfundraising.org.au/craftacure. Please note that the tea cosies that you send to us cannot be returned. They will be displayed and sold at Warratina Lavender Farm, to raise money for the Cancer Council. Post your entries to PO Box 109, East Ringwood, 3135. Craftpaks, 122 Canterbury Rd, Heathmont. 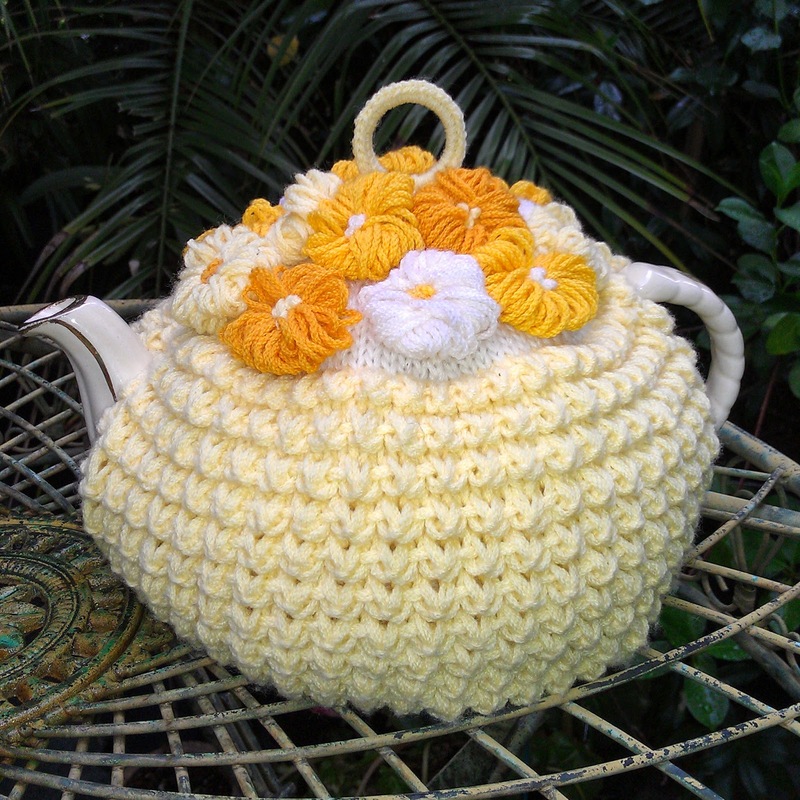 Some flower tea cosies; the yellow one is from one of Madame Weigels designs from the 1930's. 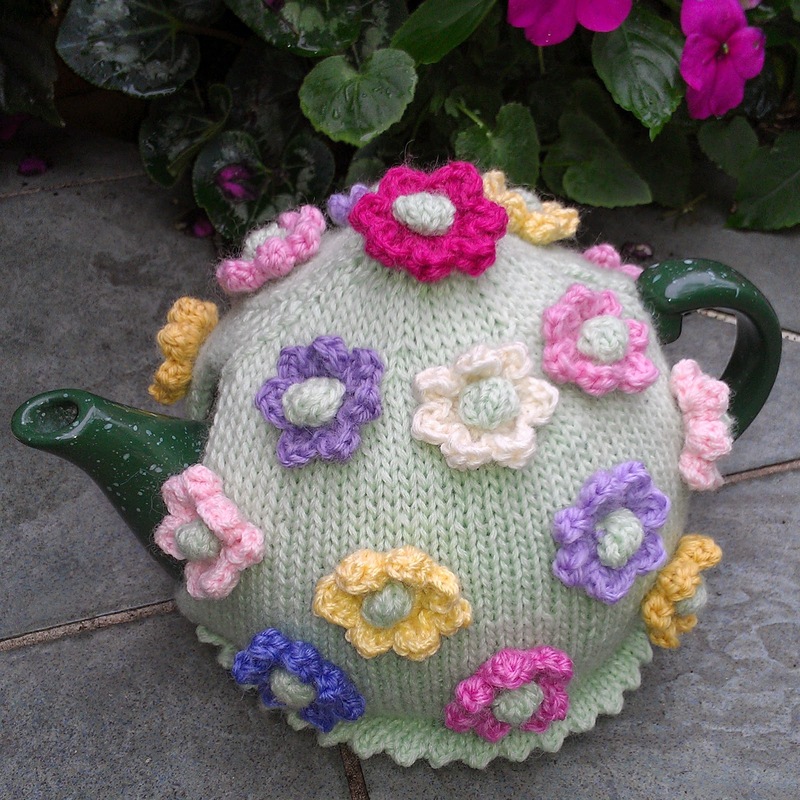 You'll find some beautiful tea cosies in these blogs.